I came late to the notion of Indian food, very late in fact. But as they say better late than never. I had experienced a couple of buffets before but was not impressed. Last year my husband and I saw a very positive review on a local Indian restaurant in town and decided to give it a try. I had the spinach paneer with soft and buttery fry bread, then finished the meal with a pudding that was lightly sweetened, topped with chopped pistachios and fresh edible flowers. I was hooked. 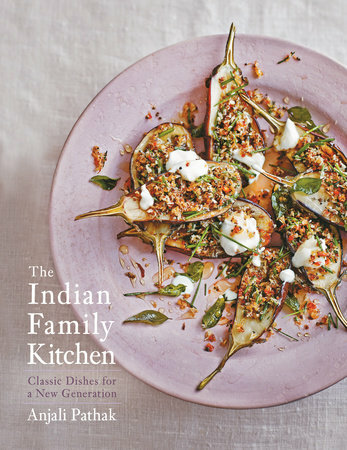 That meal inspired me to order and then write about this amazing cookbook, The Indian Family Kitchen. The book is written by Anjali Pathak the granddaughter of the family that has brought the Patak’s sauces and chutney’s to markets around the world. There are pages of family pictures and a little history in between the chapters that depict the love of family and food. These tidbits help shape the tone and direction of this book. The recipes are not quite traditional but showcase her spices and technique of simple Indian fare in unexpected ways. Scattered throughout the pages of the recipes are her “my secret” tips which gives you ways in which to make the most of your ingredients. The book cover and design is stunning and will draw food lovers of all ages. Almost every recipe has an beautiful and inspiring photograph. From this book I prepared the “Roasted vegetable biryani” which was incredible, with lots of flavor and color. If you eat with your eyes this dish is for you. In this recipe the veggies are roasted. Then the rice is soaked 30 minutes which softens the grains. Some of the spices she used were garam masala, cloves, cardamom, cinnamon sticks, saffron, ginger and frozen peas. The veggies, rice and spices were combined and baked for 15 minutes. Your kitchen will smell like heaven. If you are a cookbook lover this is a must have. Enjoy! I love the combo of flavour in this rice dish. Absolutely delicious, Cheri. Thanks Angie, I really enjoyed this one too! Thanks Dena, I think we all probably enjoy our food this way. Hi Tandy, Indian food has quickly become one of my favorites, love the spices. As you know, I love Indian food, and you are so lucky to have so many wonderful restaurants in your area! I am ordering this book today on your recommendation! Thanks, Cheri! Hi David, yes, it's nice having choices, since my daughter moved to Tucson we have been finding some great treasures down there as well. Hope you enjoy this book as much as I do. That is something I would definitely like to read :-)!!! Hi Agness, hope you have a chance to, take care! 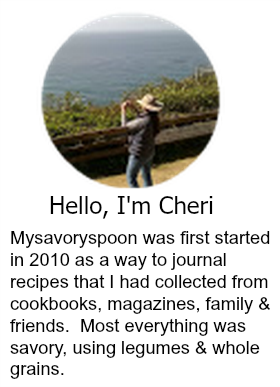 Dear Cheri, not only does this cookbook sound utterly wonderful but the dish you prepared looks fabulous! 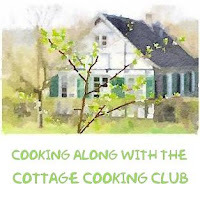 Let´s see how this month´s Biryani from Hugh turns out - lovely review, wonderful recipe! 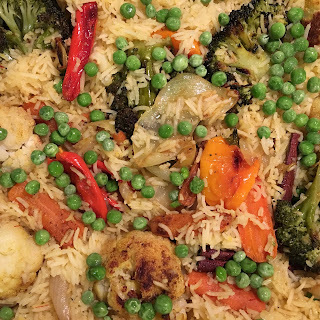 Hi Andrea, isn't that something, loved this veggie biryani, it will be interesting to see what Hugh does. Take care! It's funny how the Indian food "bug" will suddenly bite you! I was never a big fan and then suddenly I started loving it. Now it's what I always want to order for take out. Hi Chris, I know it was just like that for me, now I love, love the spices. Hi Liz, I just got on board a year of so ago and absolutely love all the flavors and spices. Take care! Love it when history and family and fantastic recipes appear in one cookbook...Your rice does look to superbly healthy and deeeeeelicious! I do too Kim, signs of a great cookbook. I'm living in a multi-racial / culture country so indulging delicious Indian food is reachable and hassle free.This Roasted Vegetable Biryani looks very flavourful and yummy! We love Indian food but don't eat it often enough. So much flavor and color. Thanks for the nice recommendation for the cookbook. So many recipes so little time! Hi Tricia, I agree, I have files saved on my computer, pinterest and magazines in boxes of recipes I would love to try, never enough time. What a beautiful cookbook! I'd love to try that recipe. Hi Beth, hope you have a chance, great cookbook. This sounds like my kind of book. We are very much in to our Indian cooking. Thanks Dannii, I'm just getting started. I love Vegetable Biryani, it's literally one of my fave Indian dishes. I need to grab me a copy of that cookbook; it sounds like something I'd really enjoy! it's a great book Mike, love the recipes and the style in which they are written. I am a fan of biryani - this one sounds delicious. It really was delicious, thank you for stopping by. Love biryanis! And this one sounds and looks absolutely delicious. If there's one food that I became obsessed with this year it's Indian food. I am not familiar with cooking Indian food at all so I was looking for a cookbook - thanks for sharing this! Hi Pamela,loving this cookbook and the pics! I saw that book and was thinking about getting it, so I'm glad I saw this lovely recipe and description, now i definitely need to go check it out! Hope you enjoy it Phi, it's a great cookbook. Cheri this book sounds really amazing !! Thanks Priya, now mine too! I love the cover of the cookbook. It sounds like it has some great recipes.